Have you ever got a call from an individual claiming to be from Microsoft, a security company, or a general tech support company who insists you have a virus? Here’s the typical scenario: a telemarketer masquerades as major computer company, cons you into believing your computer is infected with malware, and then charges you hundreds of dollars to remotely access and “fix” the “problem.” We have some good news: these individuals may finally be brought to justice for their scamming, courtesy of the Federal Trade Commission (FTC). The commission yesterday finally ended its first massive scareware case, after four years of fighting individuals who tricked 1 million users into thinking their PCs had malware. That was just a warm up. 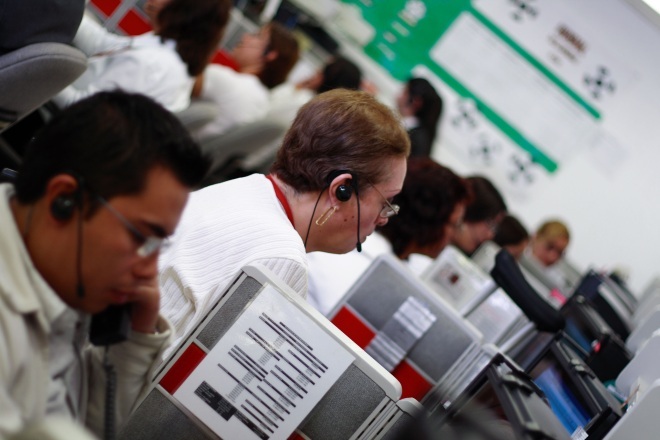 The FTC today announced a major international crackdown on fake call centers. At the FTC’s request, a US judge in the Southern District of New York ordered the halt of six alleged tech support scams pending further hearings, and has frozen the assets of the companies, which operated mainly from India. The commission is targeting 14 corporate defendants and 17 individual defendants in six legal filings against Pecon Software, Finmaestros, Zeal IT Solutions, Virtual PC Solutions, Lakshmi Infosoul Services, and PCCare247. They were all charged with violating the FTC Act, which bars unfair and deceptive commercial practices, the Telemarketing Sales Rule, and with illegally calling numbers on the Do Not Call Registry. The FTC charged that the operations target English-speaking consumers Australia, Canada, Ireland, New Zealand, the UK, and the US. Five of the six firms used telemarketing “boiler rooms” to call consumers while the sixth lured victims by placing ads on Google which appeared when they searched for their computer company’s tech support phone number. After getting the consumers on the phone, the telemarketers allegedly claimed they were affiliated with legitimate companies, including Dell, Microsoft, McAfee, and Norton (of Symantec). They told consumers malware had been detected on their computers and convinced them it posed an imminent threat. The scammers then offered to remove the malware for fees ranging from $49 to $450. When consumers agreed to pay, the telemarketers directed them to a website to enter a code or download a software program that allowed the scammers remotely access to the consumers’ computers and then further trick them into believing they had “removed” the nonexistent malware. The FTC says tens of thousands of consumers were fooled in this way. FTC papers filed with the court alleged that the scammers hoped to avoid getting caught by using virtual offices that were actually just mail-forwarding facilities, as well as by using 80 different domain names and 130 different phone numbers. As mentioned, this was an international operation. The FTC received legal help from the Australian Communications and Media Authority (ACMA), the Canadian Radio-television and Telecommunications Commission (CRTC), the United Kingdom’s Serious Organised Crime Agency (SOCA), as well as investigative assistance it from Microsoft and other unnamed computer companies.